Description: Getting a jump on most of the other Halloween yard haunts in Los Angeles, the Hart Street haunt sets up its decorations during the first week of October. 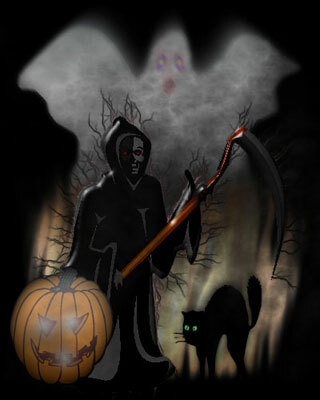 Monsters will manifest only on Halloween night, from dusk till the trick-or-treaters disappear. The Hart Street Haunt is situated in a Los Angeles neighborhood overflowing with Halloween spirit; many houses are decorated, and the sidewalks overflow with costumed kiddies and their parents. The yard itself is loaded with monstrous mannequins, many of them mechanical. There is no walk-through maze, but a handful of monsters lurk around the sidewalk on October 31. Definitely fun but not too scary.